This room is named after the botanical garden on the estate, created in the seventies by the German landscape architect Helga Kurrle. From the window and the terrace you can admire the center garden and the landscape perspective with the fields and the surrounding mountains. 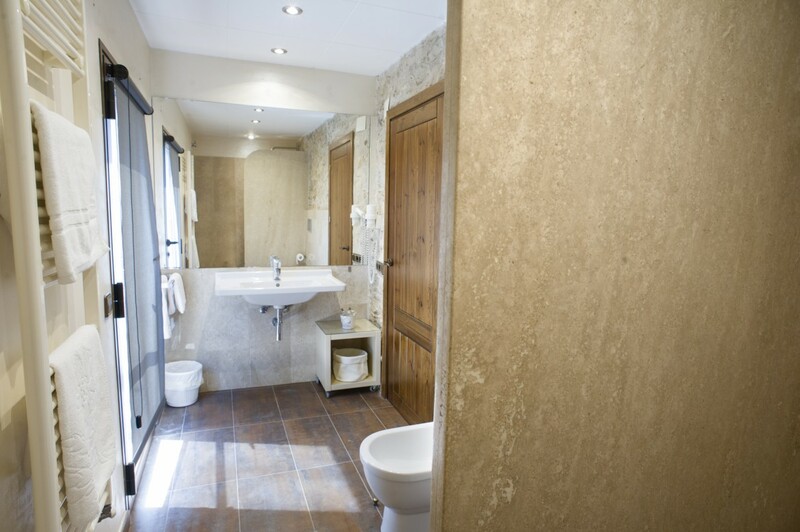 Located on the first floor of the farmhouse, it is a spacious room. It has an area of 22 square meters distributed between the room and the bathroom. It also has a spacious private terrace overlooking the pool, the botanical garden and the natural environment. The Jardins de l'Empordà room has two beds of Provencal style of 105x190cm., inlaid with marquetry that reproduce the sun and the moon from a window of the farmhouse, and also grapes.